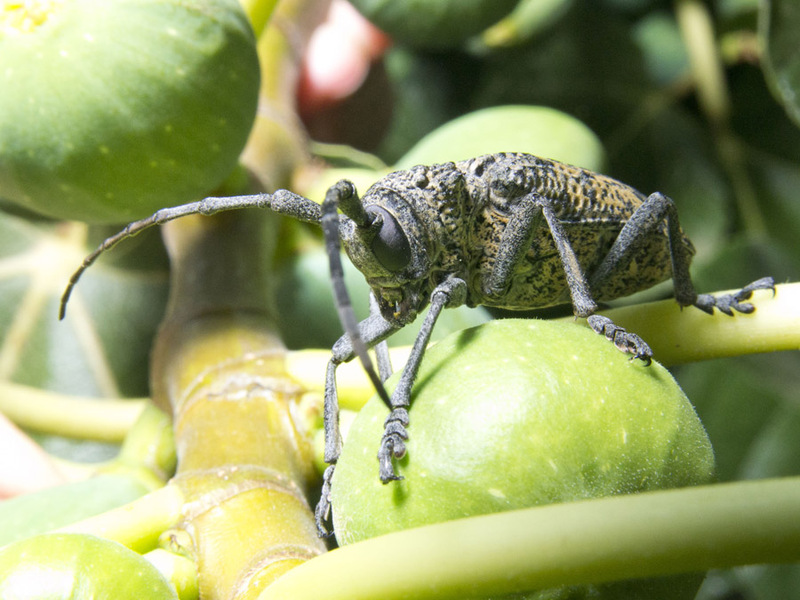 Well, if the Ghost Mantis was not unusual enough for you – check out this prehistoric looking bug!! I found it on the fig tree – two of them!!! One must be a female (the bigger one). I am busy looking on the internet ….. does anyone have a clue?? Could it be a cricket? No, no springy legs…… Well, anyone’s guess is as good as mine. Looks like I need some help on this one! Oops, forgot to say his mug shot is on page 3. Hi Denni – Thank you so much!! 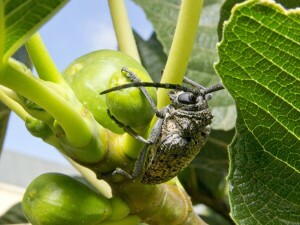 It was found in my fig tree so I hope that it is not boring in it -!!!! I will check out the link you sent! These chaps have always been my concern: http://www.figweb.org/Fig_wasps/index.htm but it seems that according to this: http://www.bioone.org/doi/abs/10.4001/003.019.0115?journalCode=afen we are going to have be alert to the possibility of new beasties looking for homes in our gardens in the future! I found one of these in my bath recently. Well it certainly looked very similar to this from what I remember. It is definitely a longhorn, a way to make sure if you’re not too squeamish, is to touch it on it’s back and it will give out a high pitched, very audible squeak! 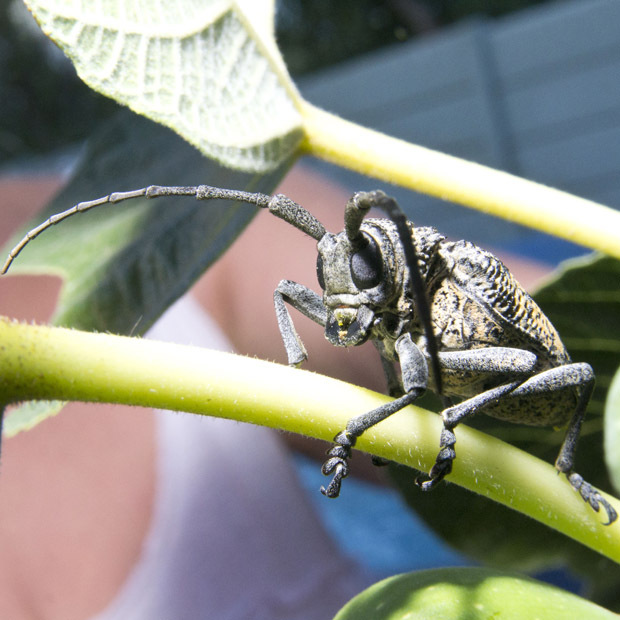 I was slightly perturbed at the thought of relocating it outside by hand especially after noticing what large mandibles it had. Where was the one in the article photographed? I’m in the Little Karoo. Hi Alex – a high-pitched squeak?? No, this would put me off! 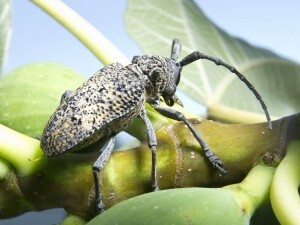 I saw the website that Denni offered and YES – it is the Fig Tree Borer Longhorn Beetle – Phryneta Spinator. You must have some very enticing plants for all these unusual bugs to be visiting you! OMG Barbie!! What are you running there in Philly?? A Bug Zoo? This one would scare the living daylights out of me! Haahaa!! So right!! Scared me too!! I was all freaked out when I saw it literally an arms distance from my face!! eeeww!! But on close inspection, quite gentle it was (but I was behind the camera lens). A bug zoo is right!! gonna have to do a special post just on that! 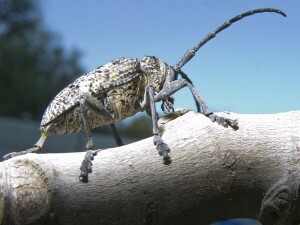 Thanks to Alan, I can jump from just a beetle, to longhorn beetle. 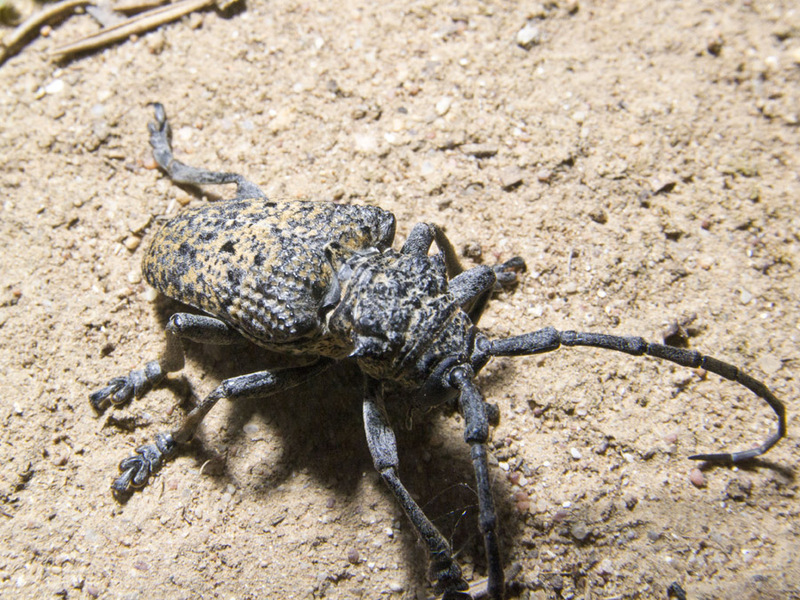 Looks like a Dumpy Longhorn, Tetradia lophoptera. For which my book shows ‘Arid savanna’ nowhere near the Western Cape. Adults eat pollen and nectar. Related to the metallic longhorn. Slender beetle in that glorious shimmering malachite blue-green. I’m sure you’ve posted us one of those? I will check this one out too! THanks for this info!! You have all been so very helpful! 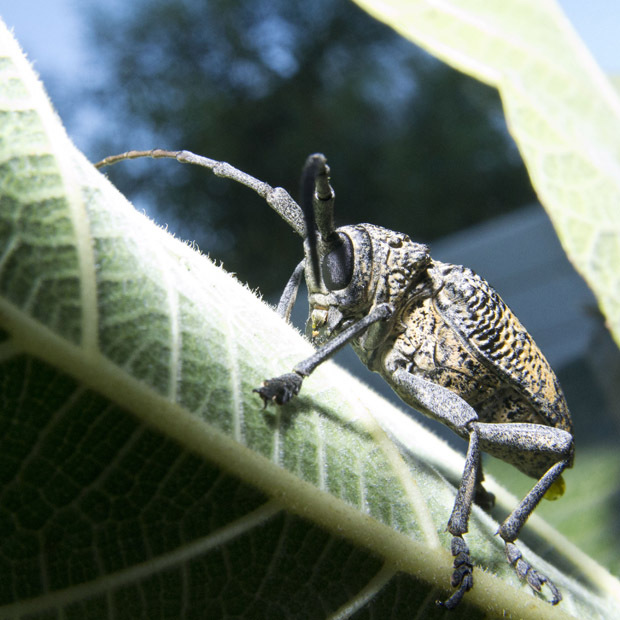 I don’t know what I’m feeding them, but these weird and wonderful bugs keep me on my toes! 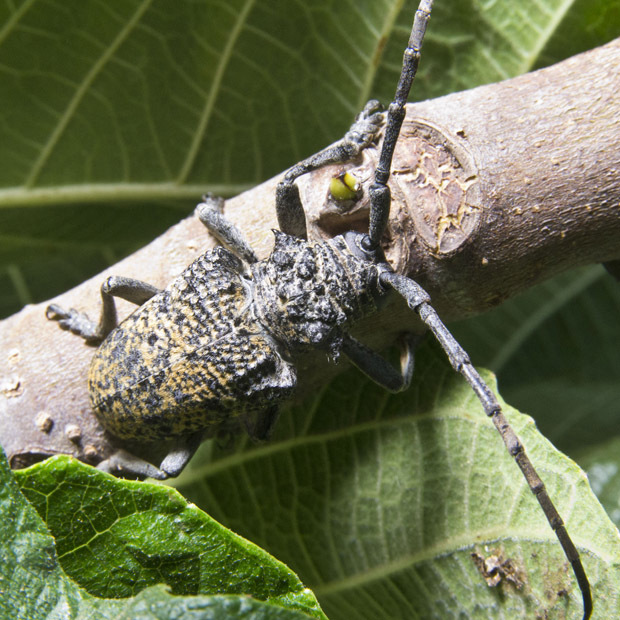 Hi Alan – yup!It is a Longicorn Beetle – Denni was spot on! 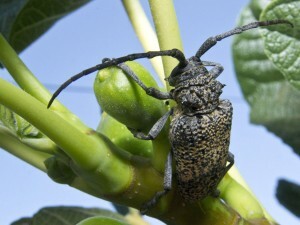 It is the Fig Tree borer Longhorn Beetle – phryneta Spinator. Comes from the Coleoptera: Cerambycidae family of beetles. Apparently the larvae bore into the tree!! Not good! Going to have to check this out! Thanks for your great effort on this!! Much appreciated!! Not a cricket but a beetle. Too late for me, I’ll check again tomorrow. nice photographs? and I hope someone can identify it for you.